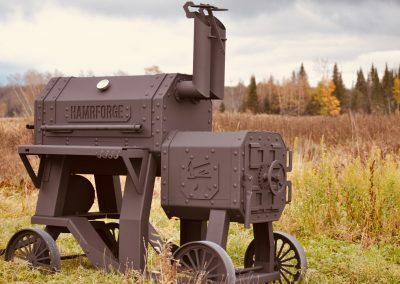 The owner of Hamrforge Inc. has eaten BBQ in just about every State and Province across North America- and he knows great BBQ, hands down and he learned the craft and trade of steel fabrication and metal stamping in various tool & die shops in the heart of Canada’s automobile industry…Over the years just like you we tried just about every type of smoker on the market, offset, pellet, egg, vertical, horizontal, you name it, we’ve tried it, and almost all of them had a very short life cycle and most ended up at the scrap yard. 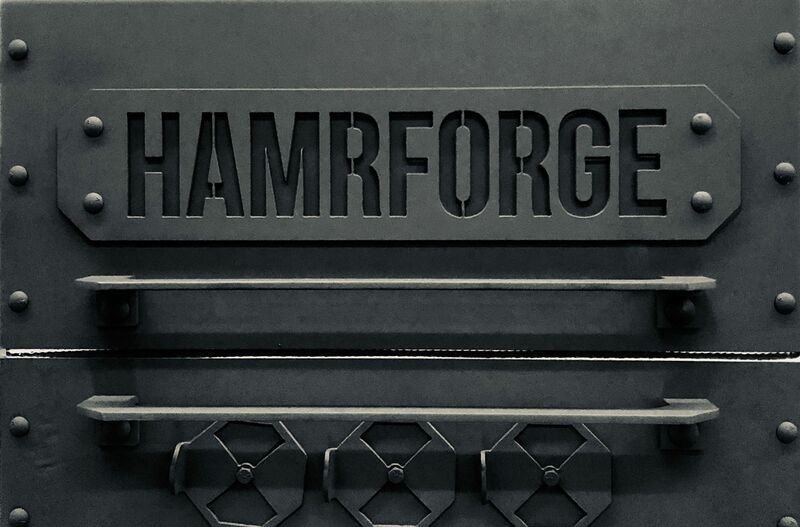 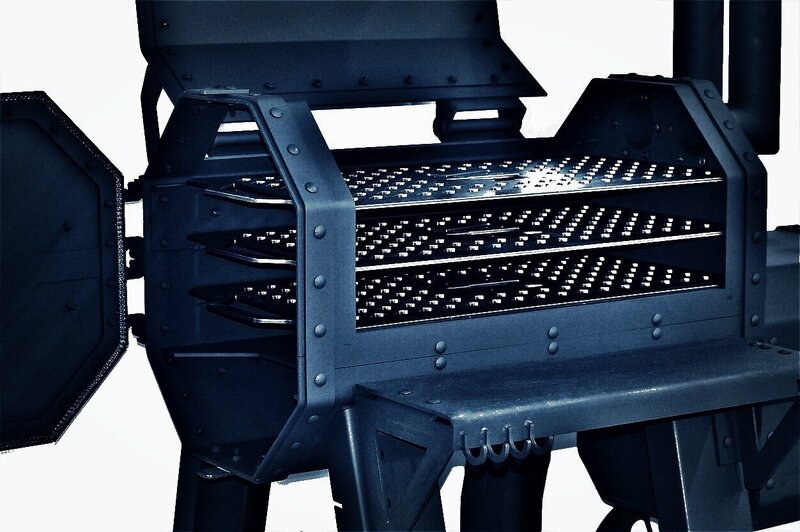 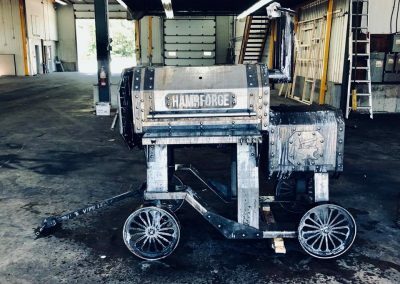 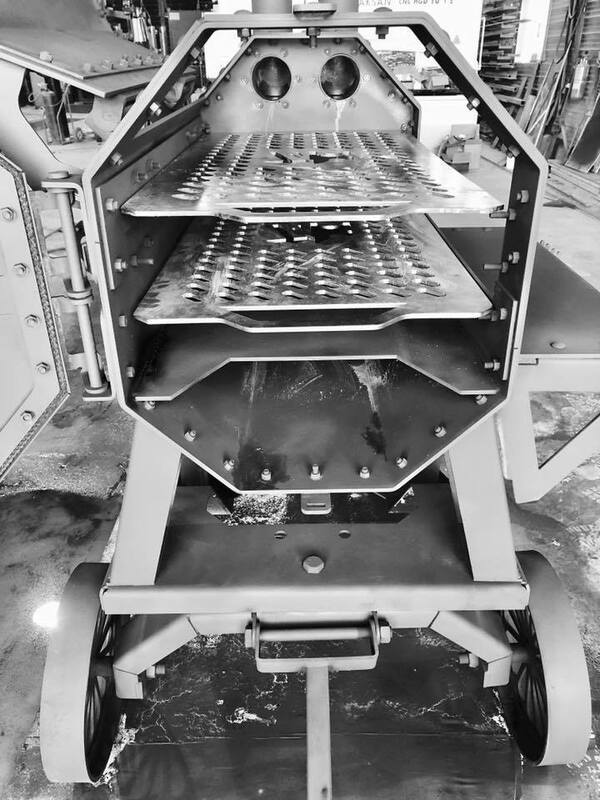 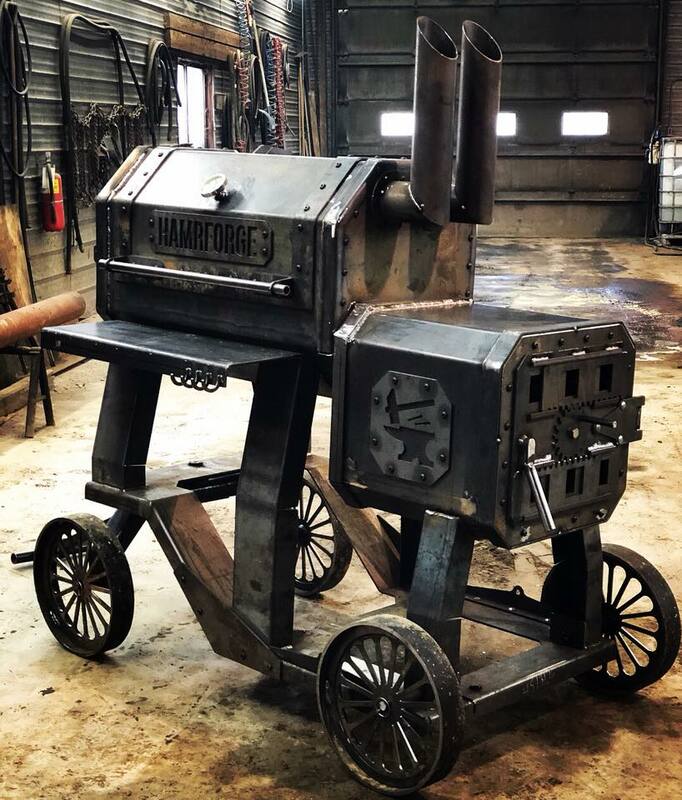 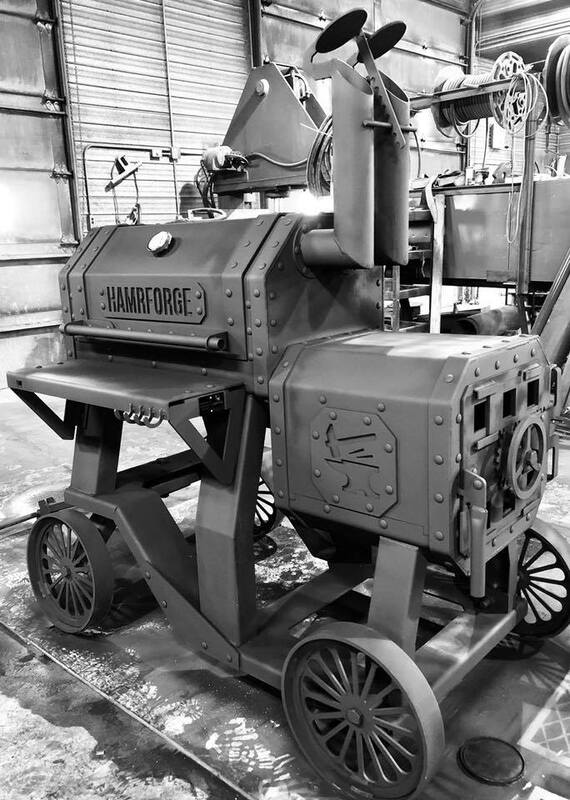 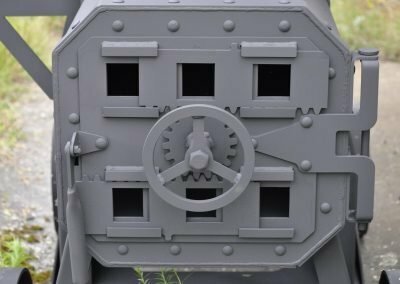 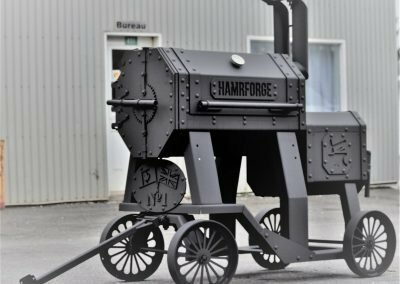 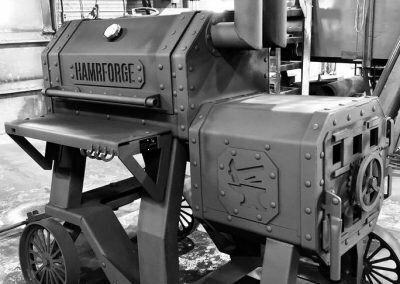 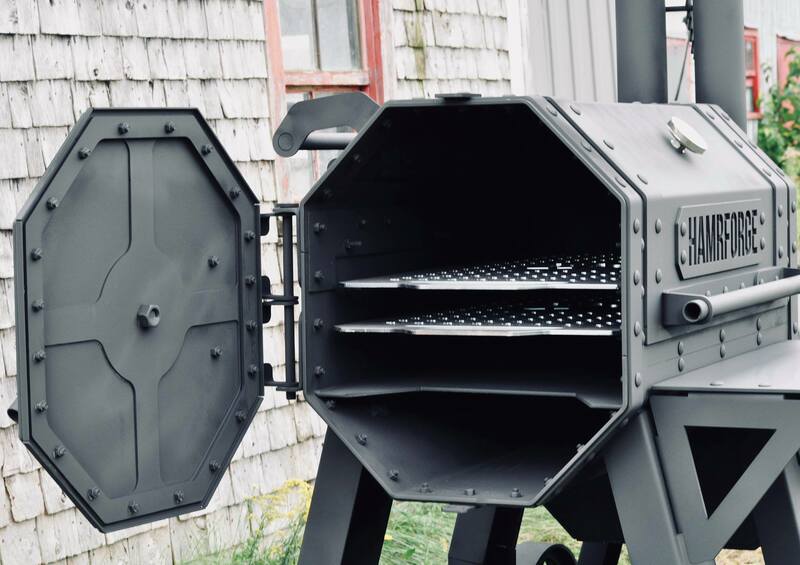 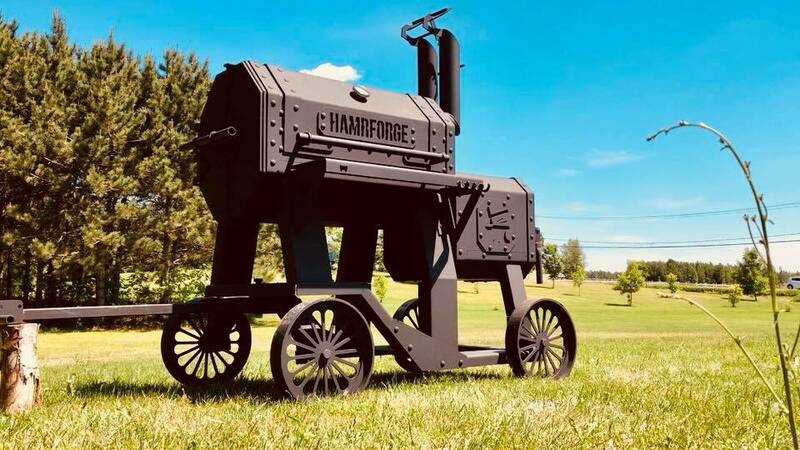 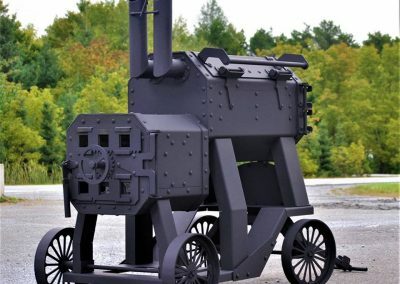 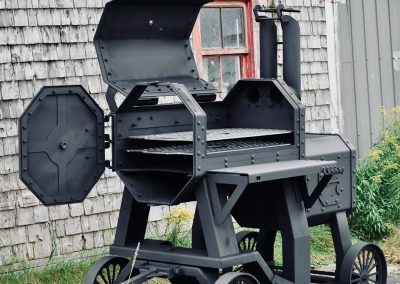 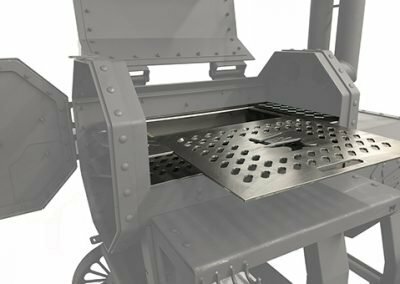 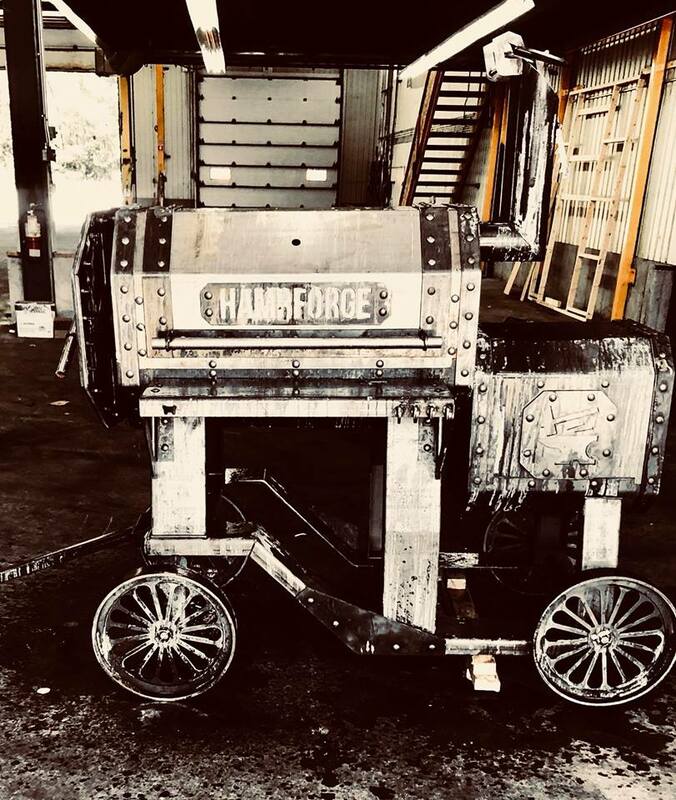 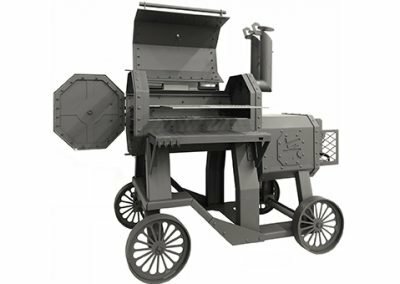 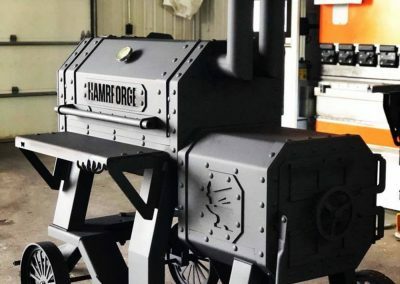 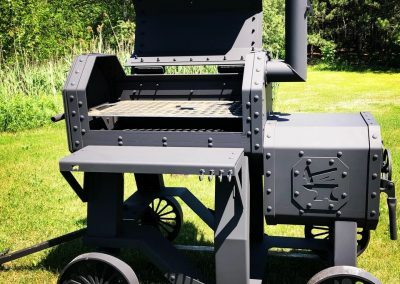 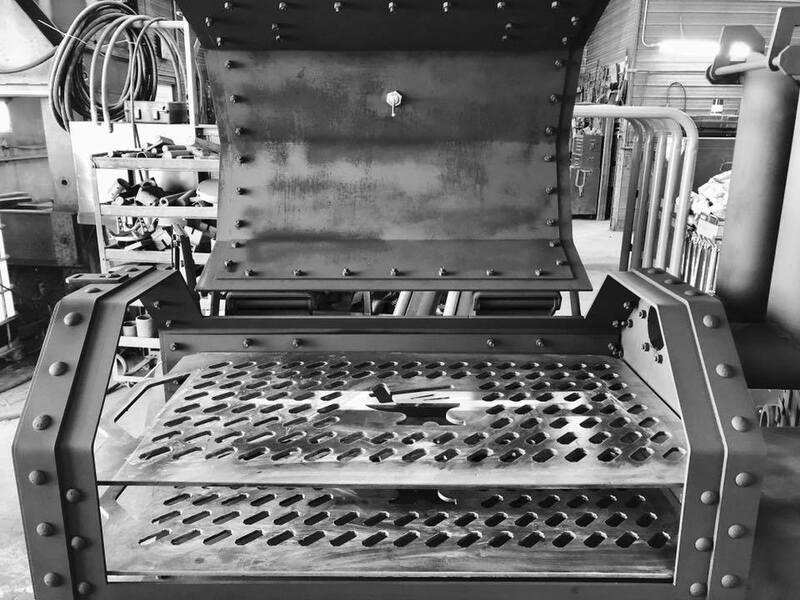 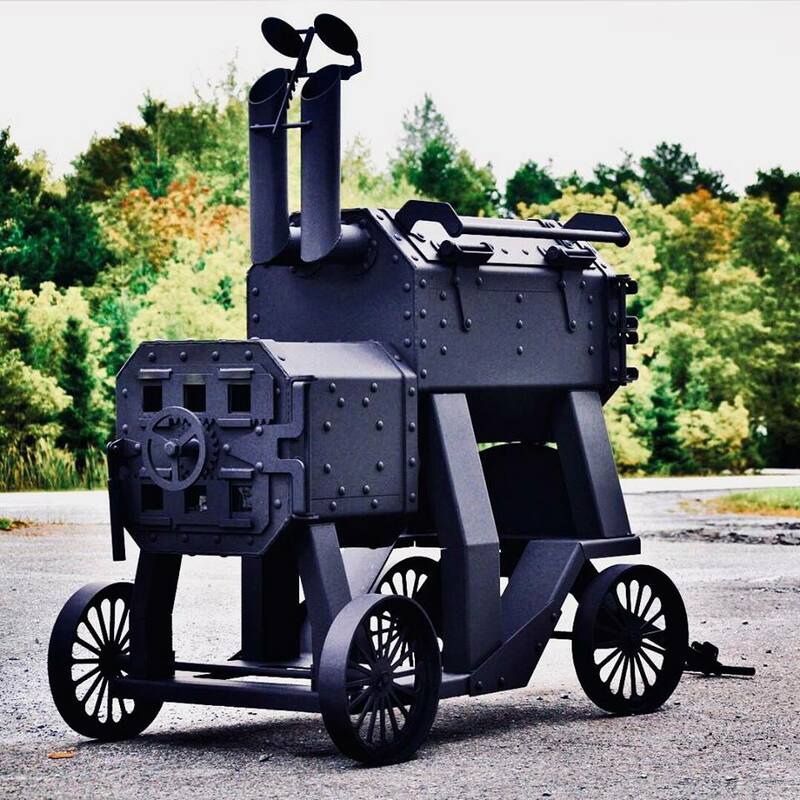 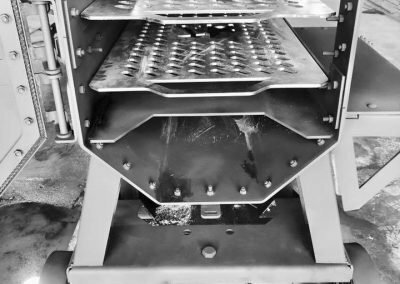 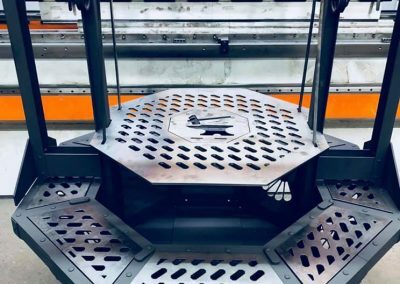 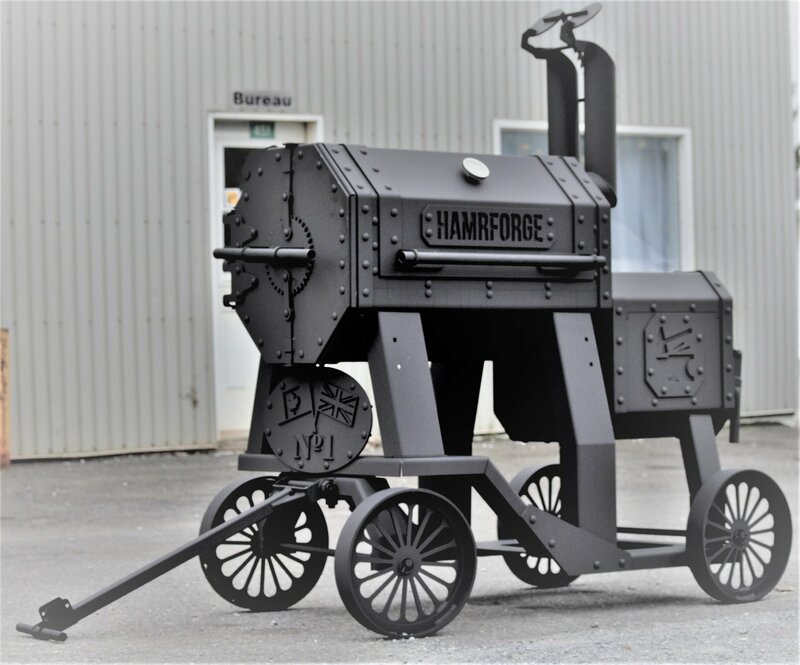 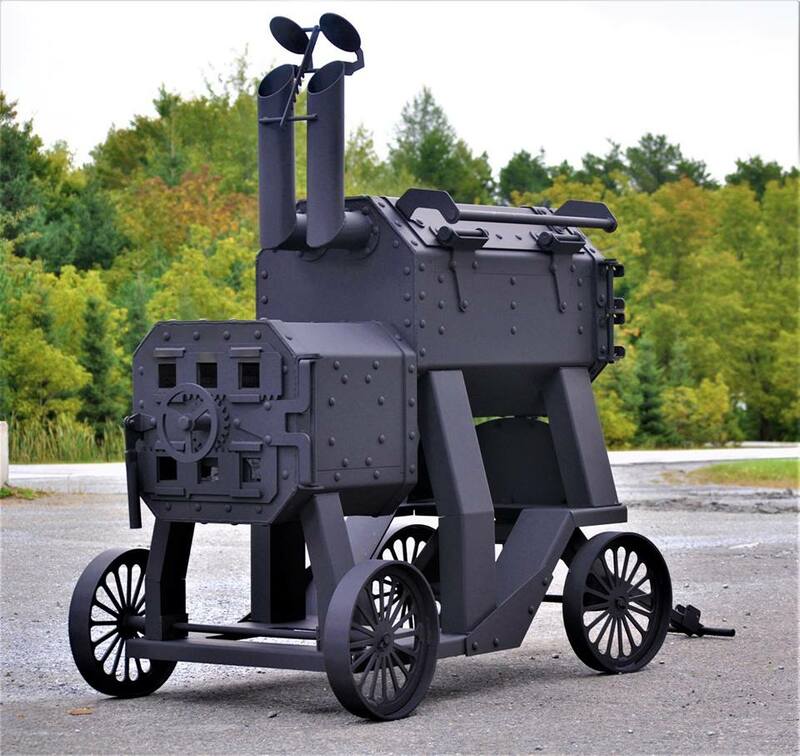 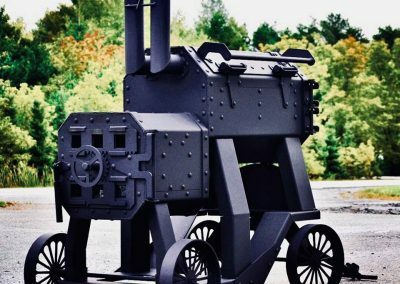 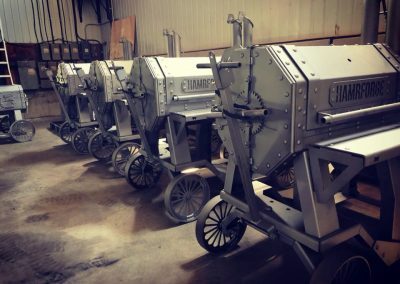 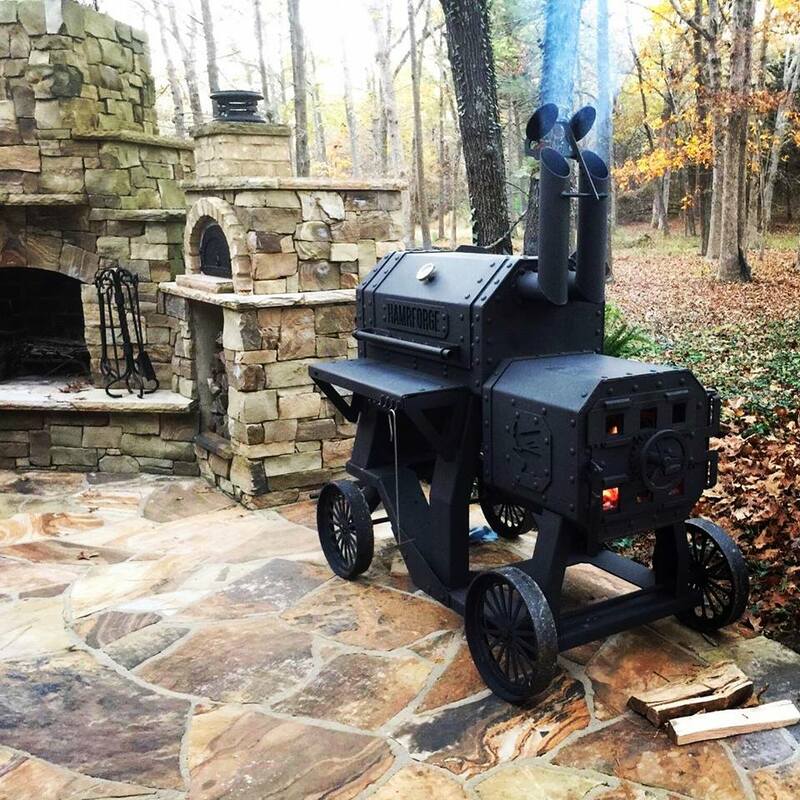 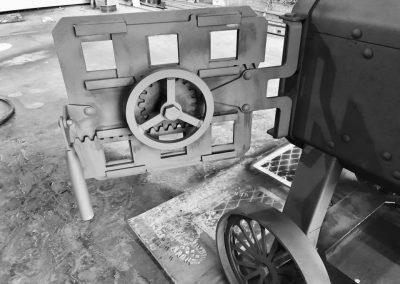 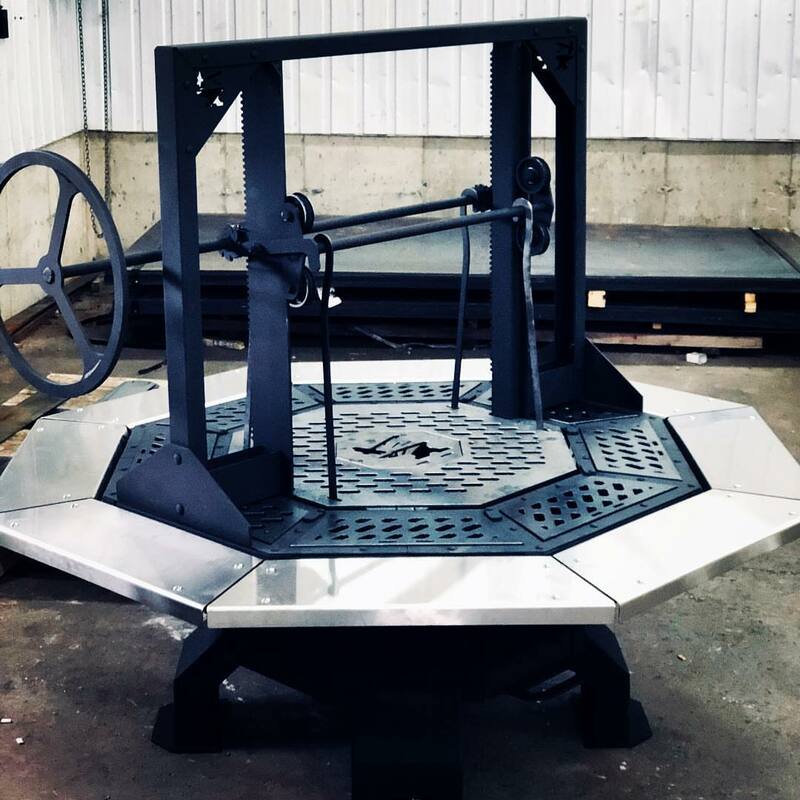 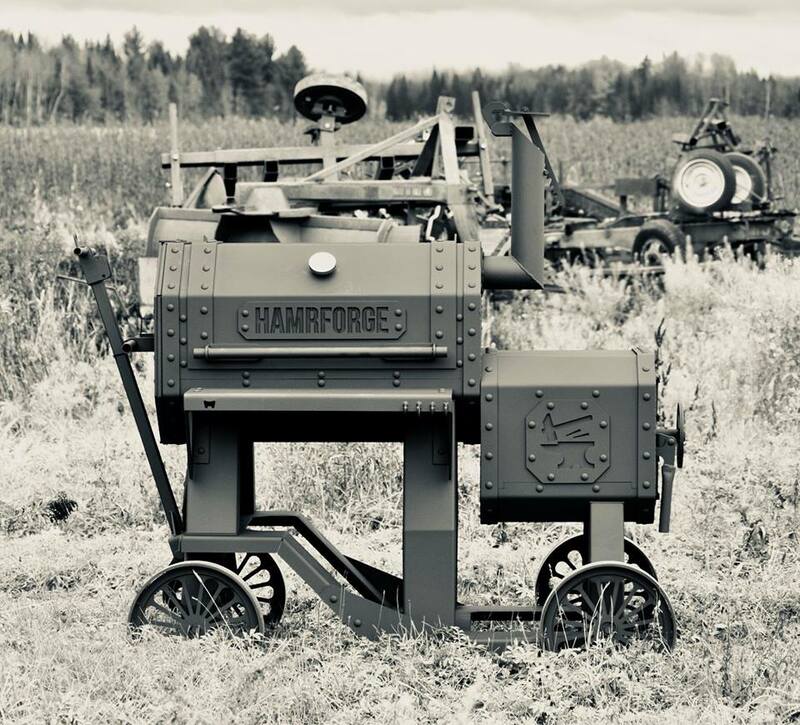 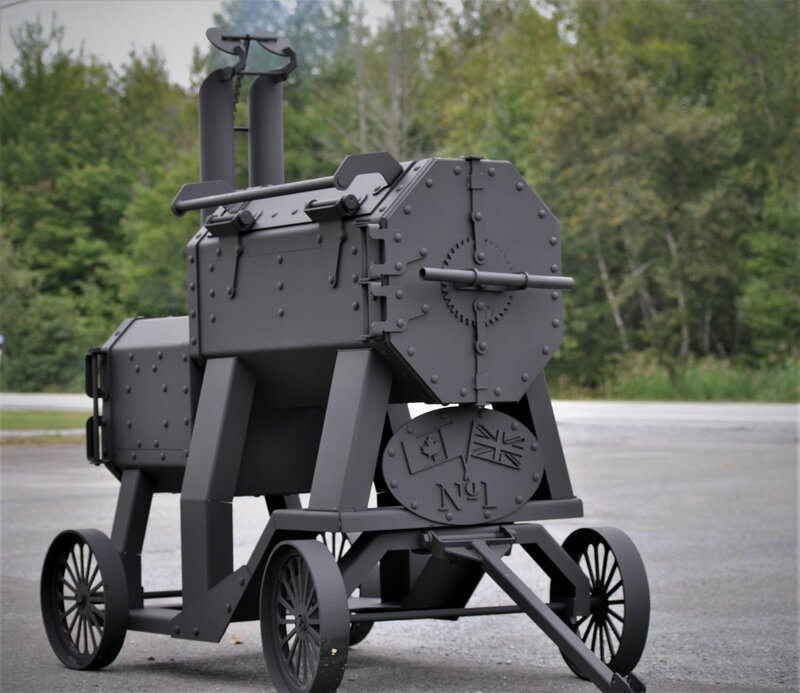 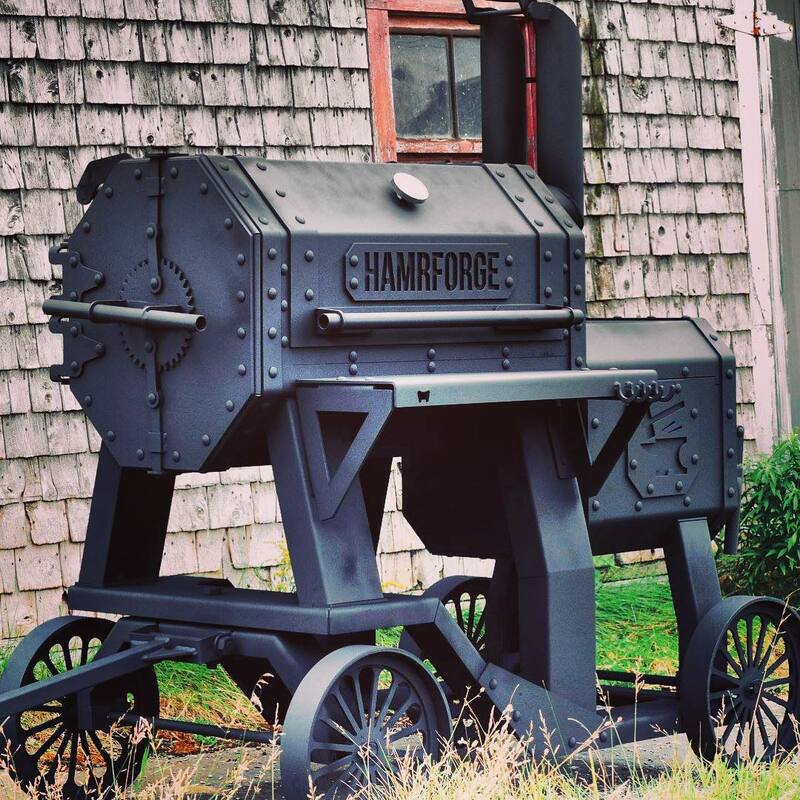 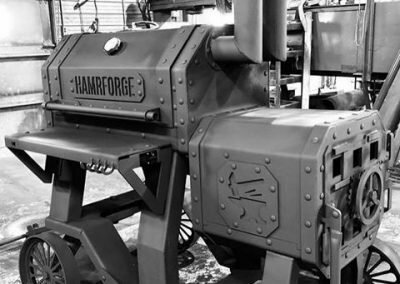 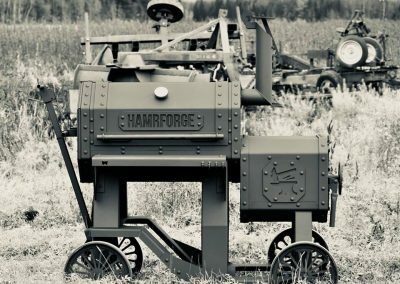 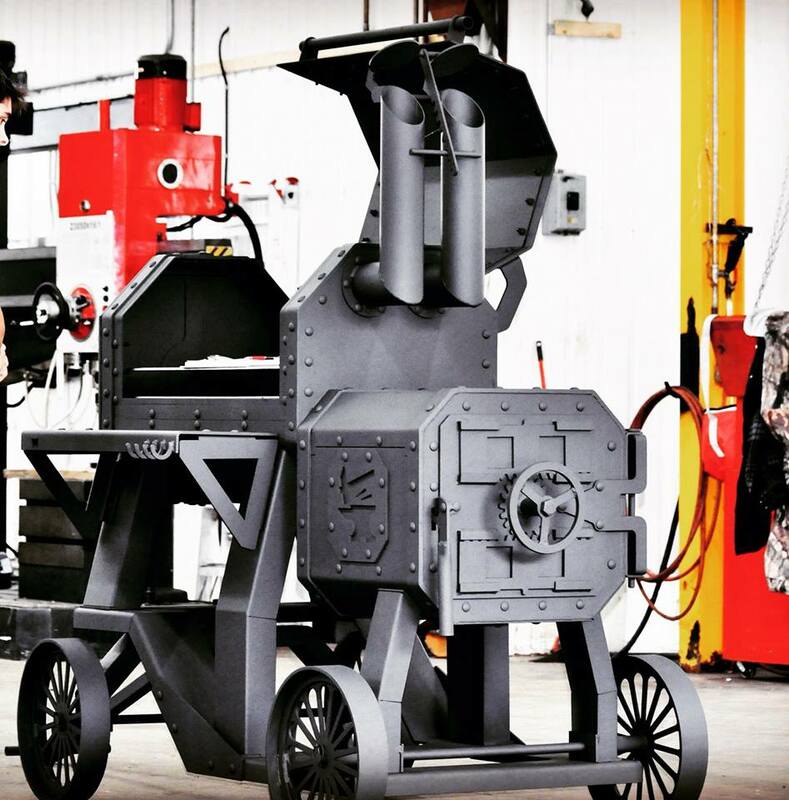 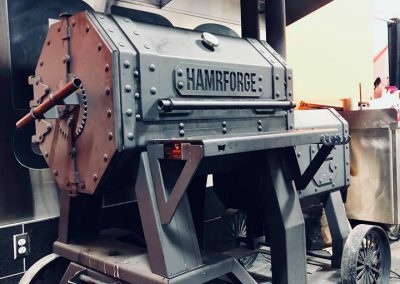 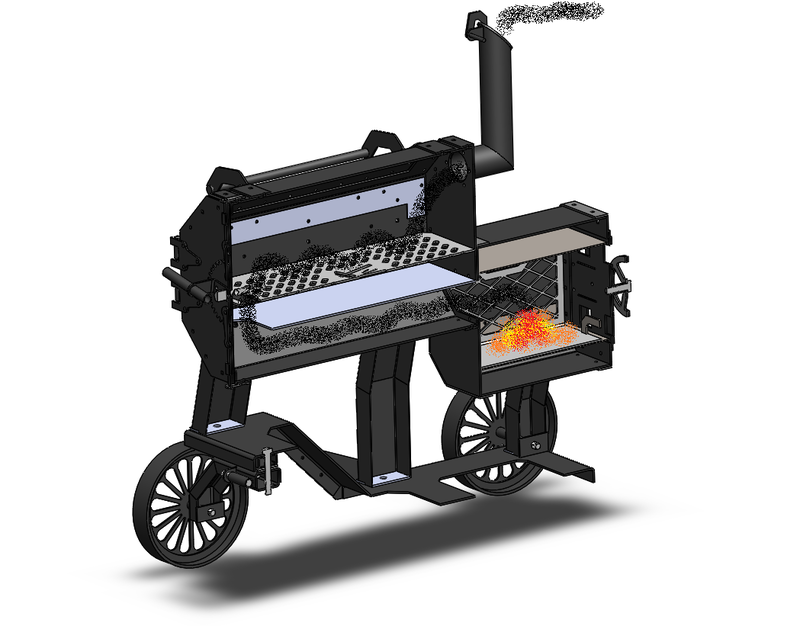 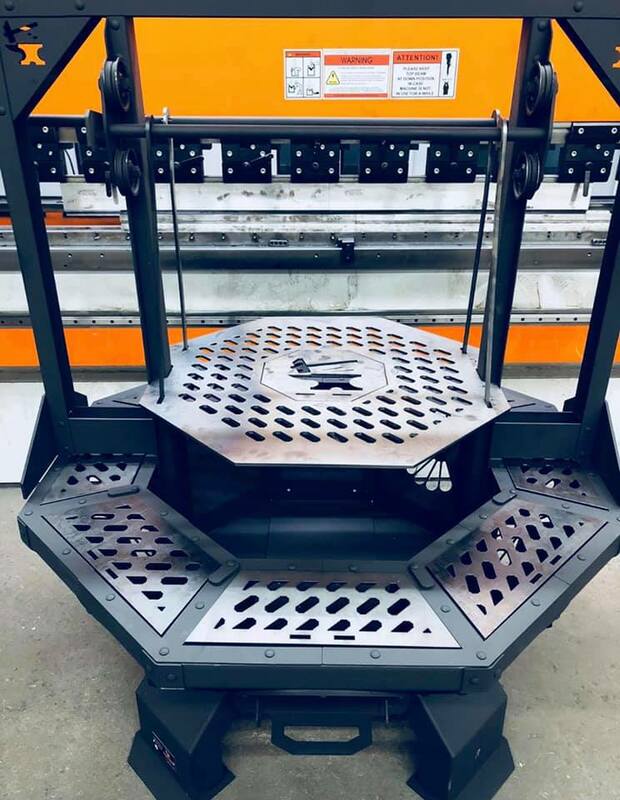 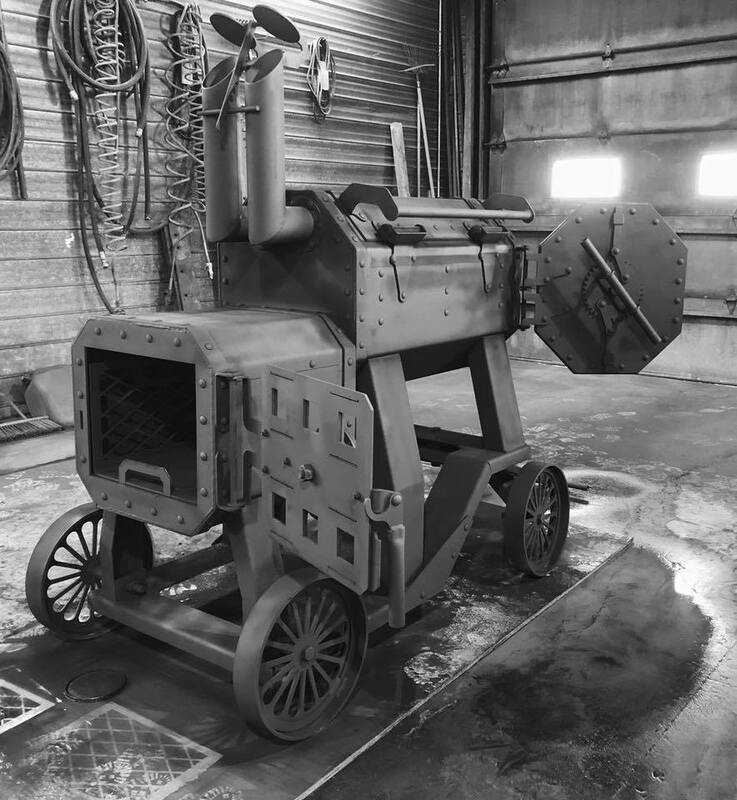 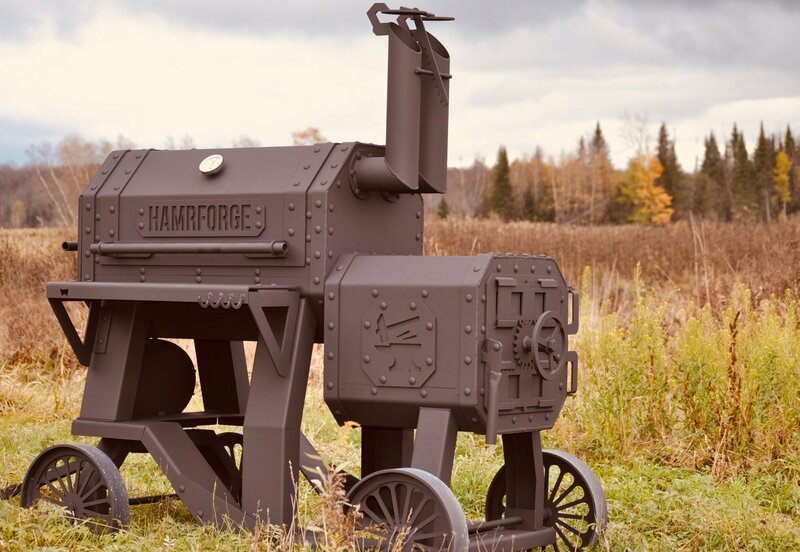 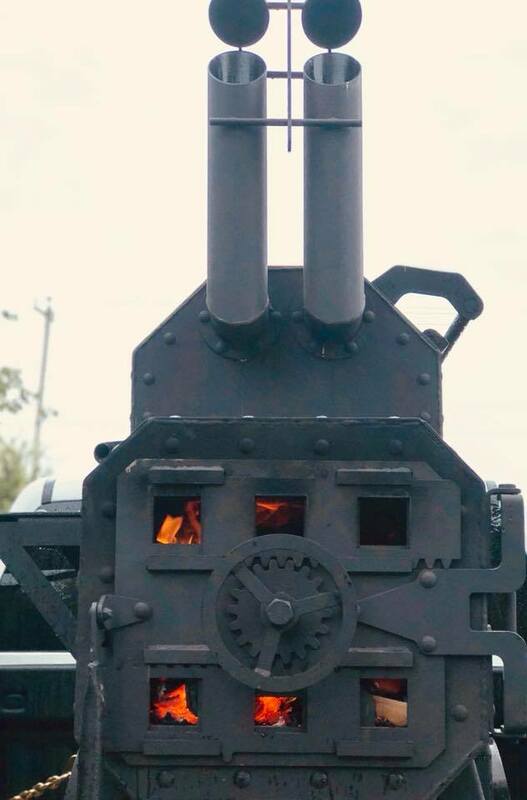 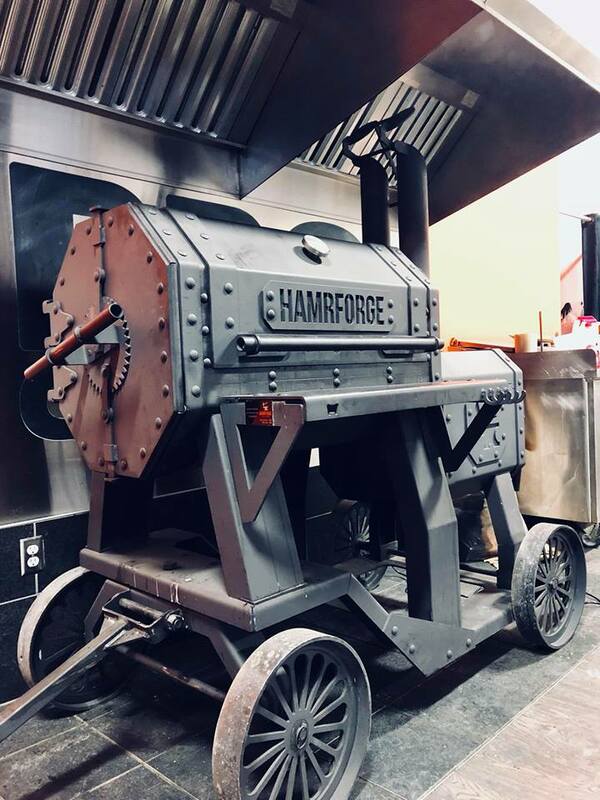 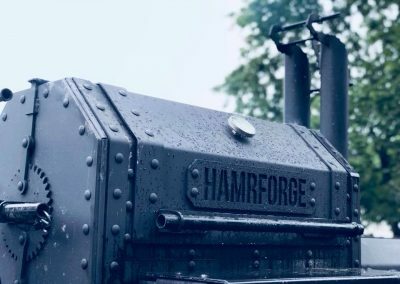 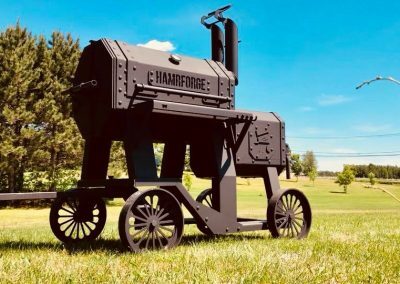 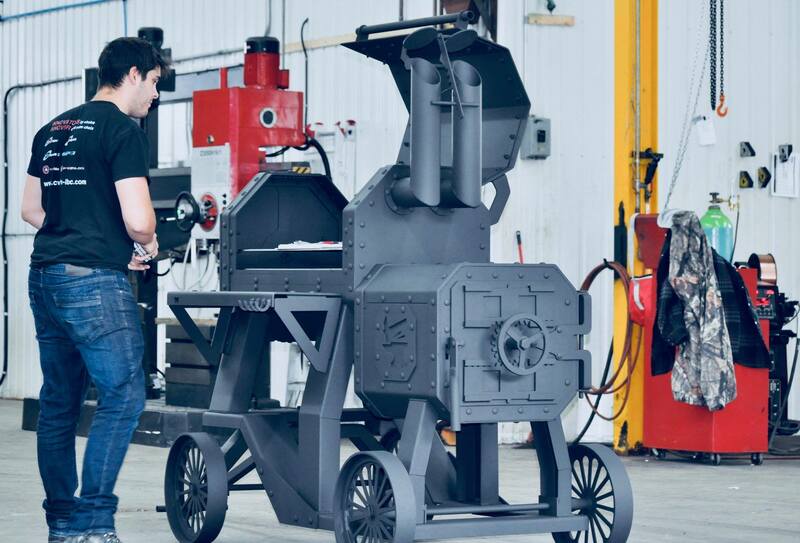 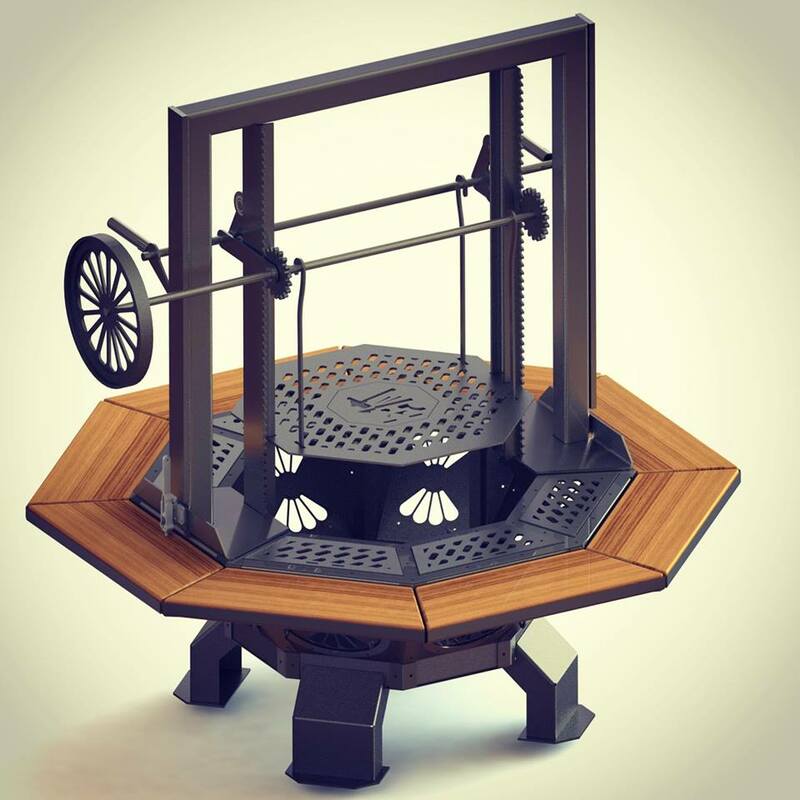 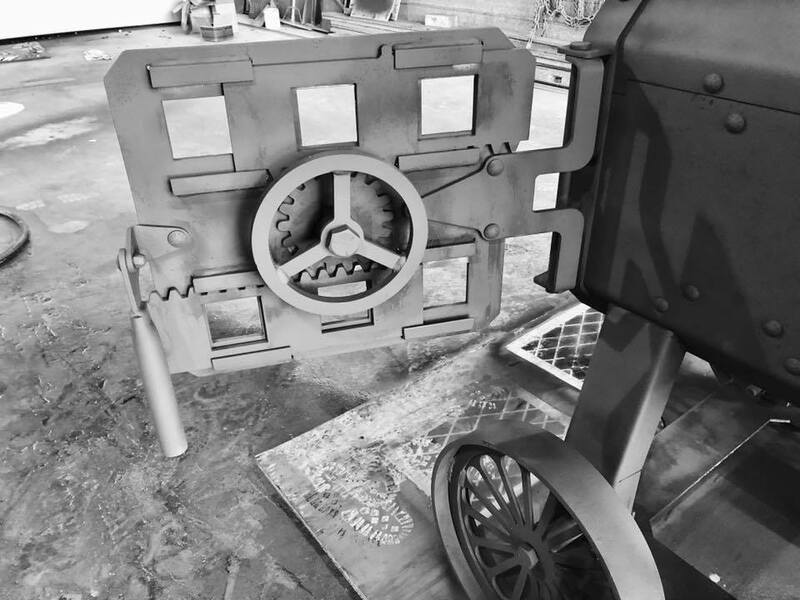 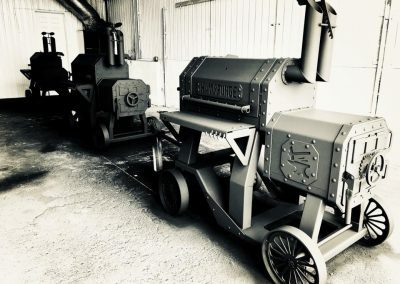 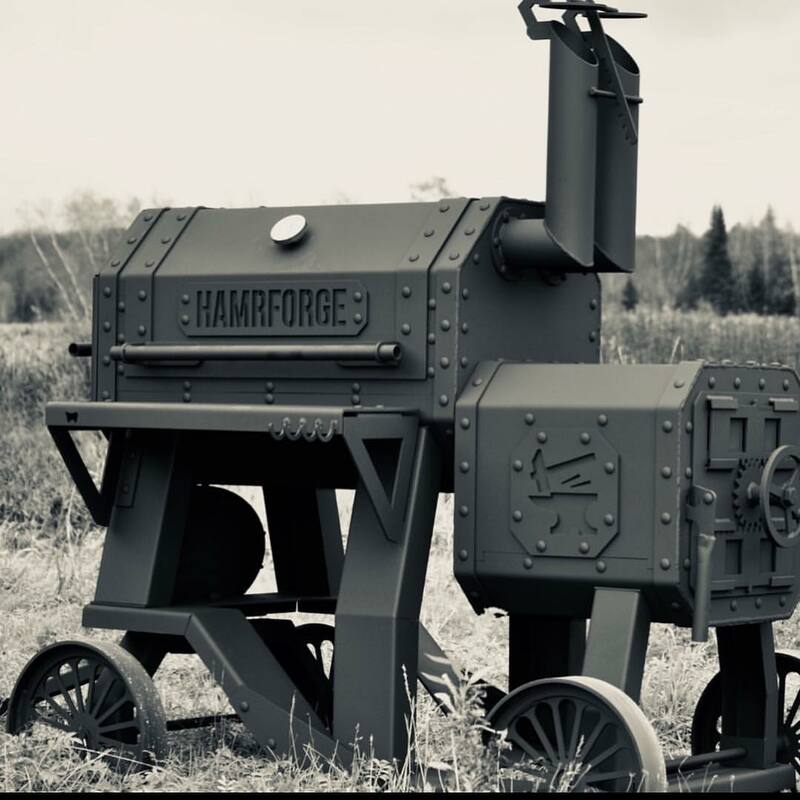 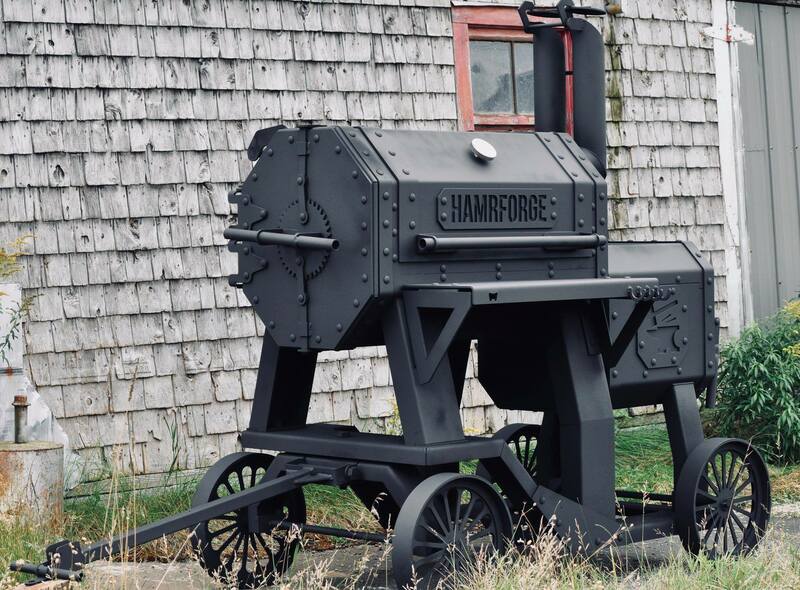 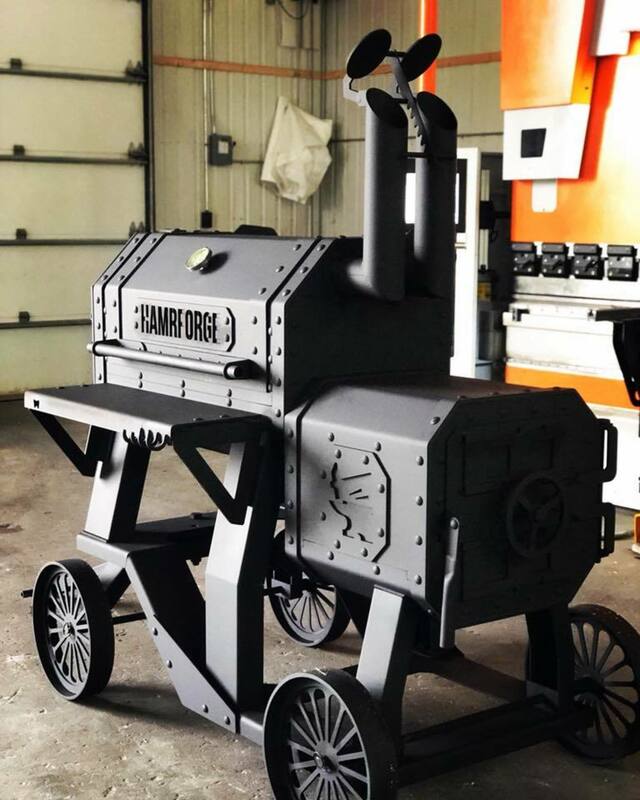 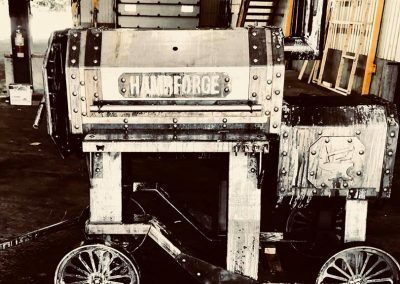 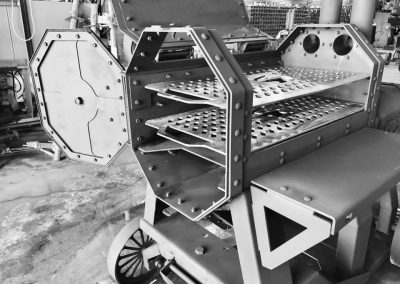 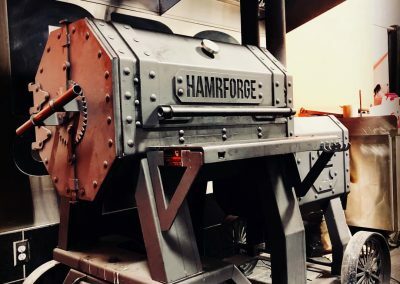 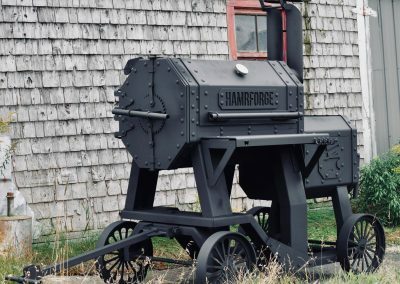 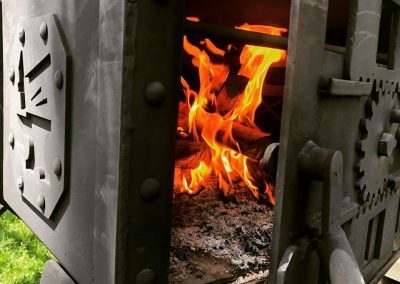 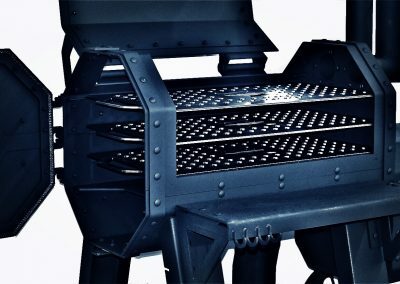 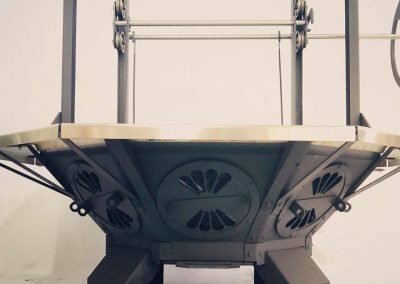 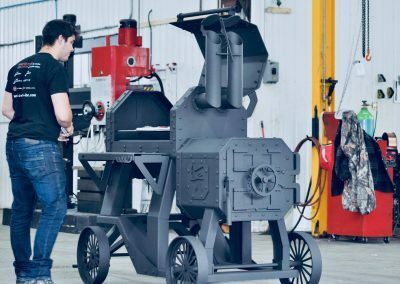 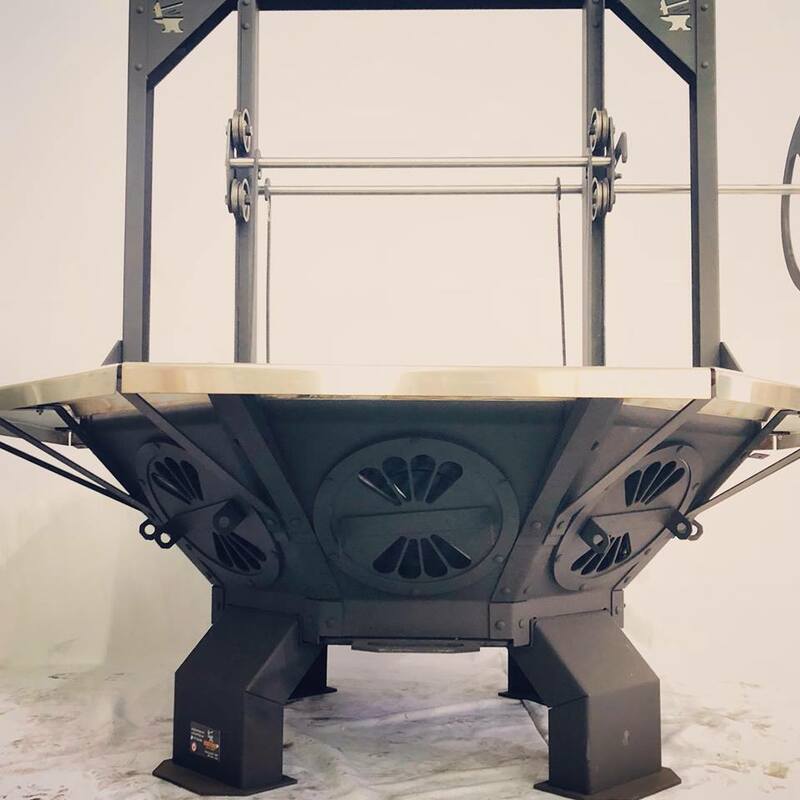 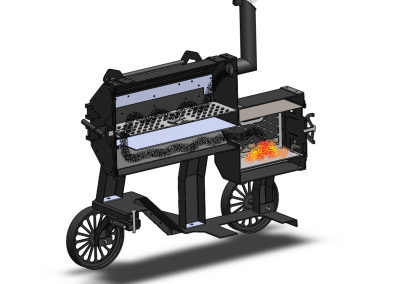 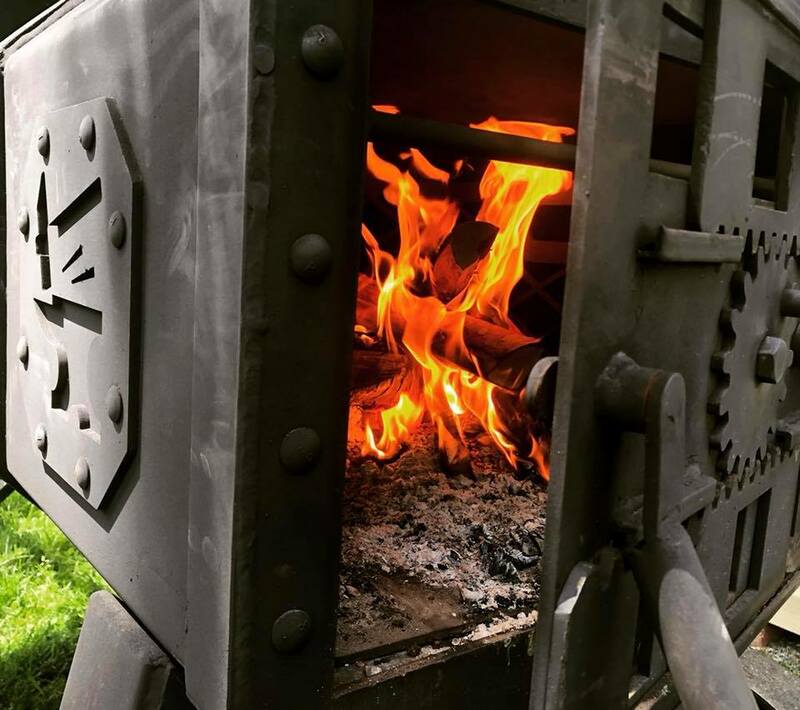 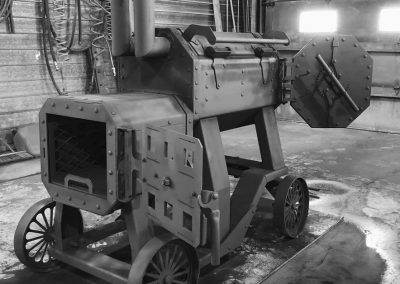 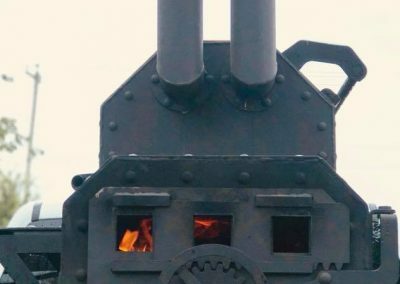 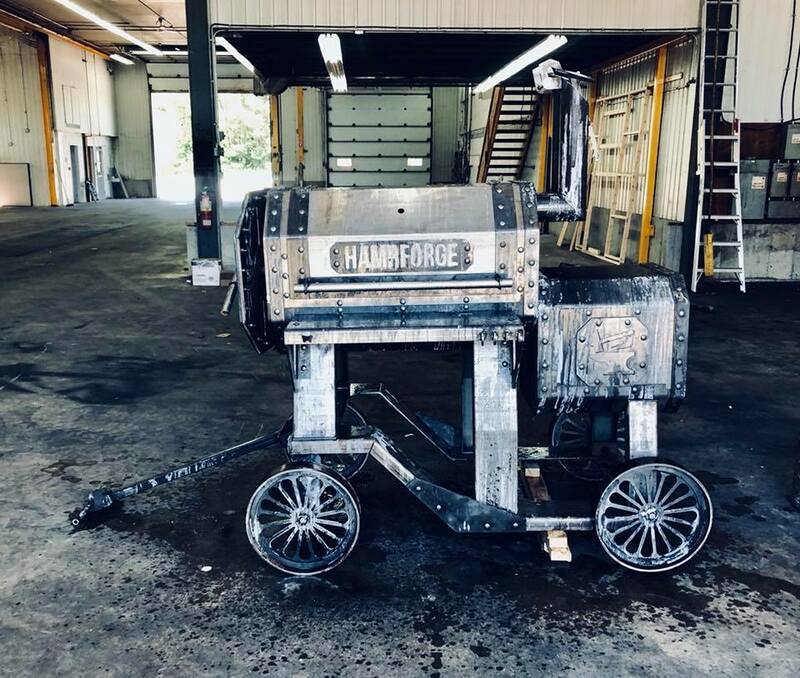 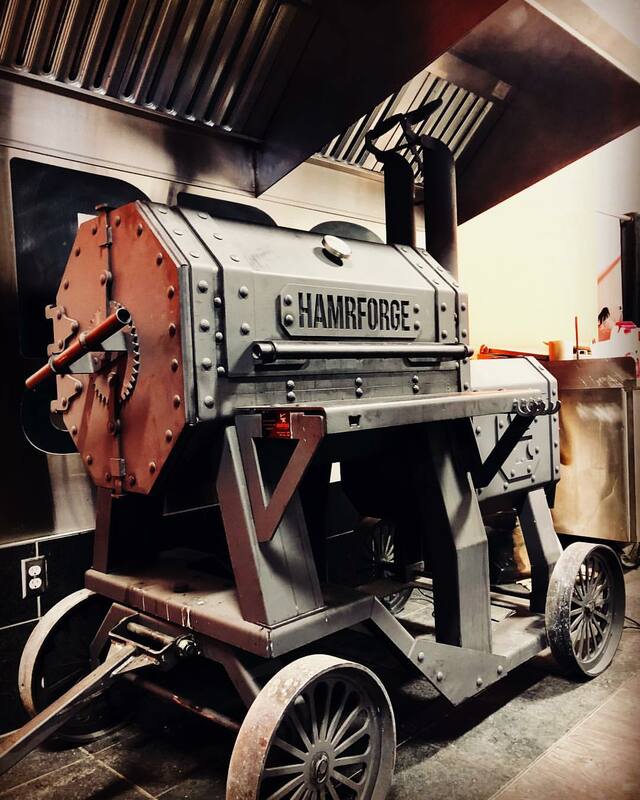 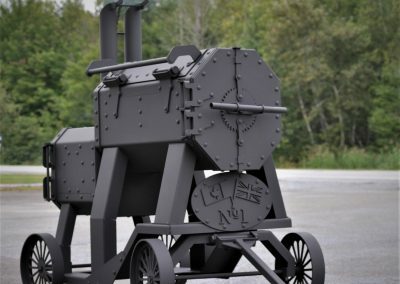 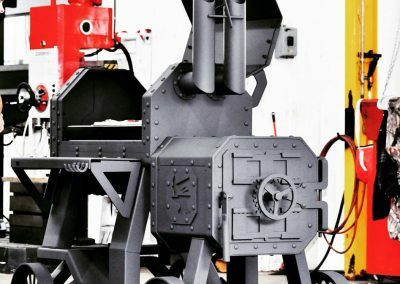 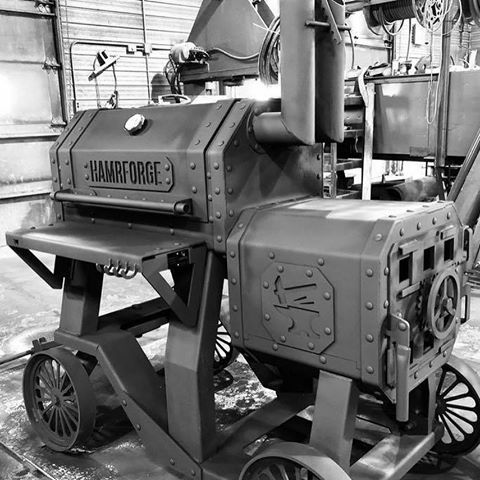 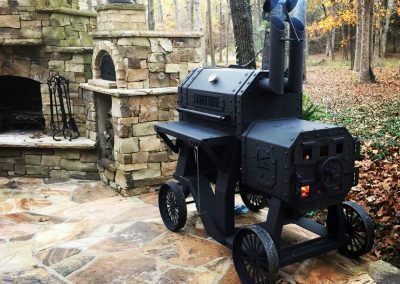 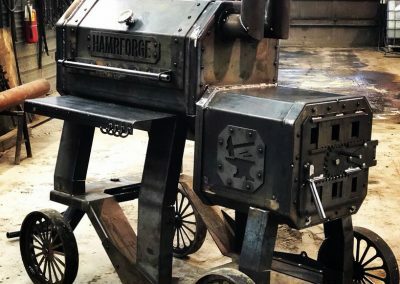 Through our trials and tribulations we gained invaluable insight into everything we DIDN’T want in a smoker and so we gathered all of those years of experience and eliminated all the things we didn’t want combined with all the features we did want and the result was the Hamrforge Beast. 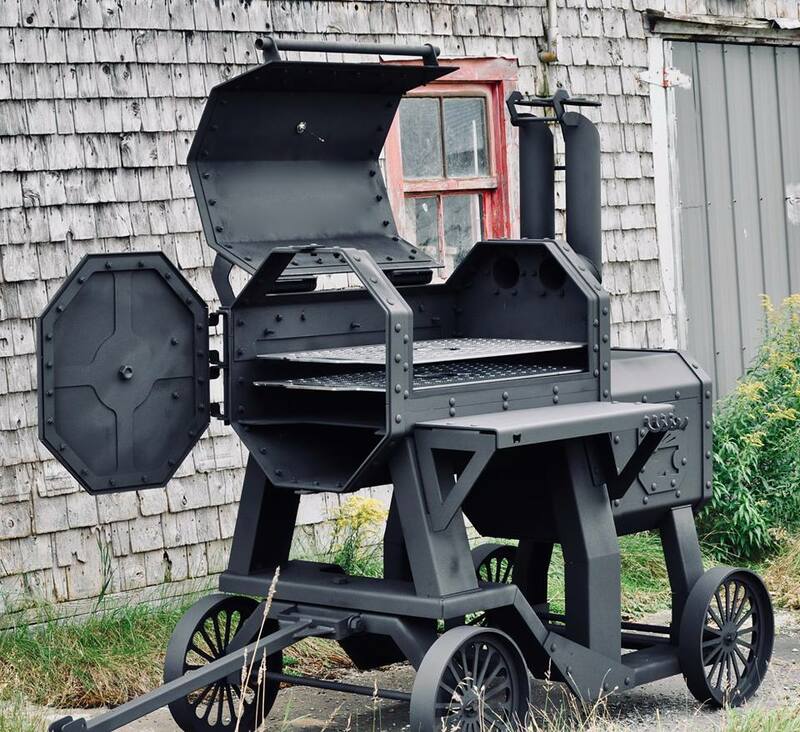 Temperature stability, easy functionality, tough, rugged, made to run in sub-zero temps, minimal wood consumption and a look that creates a conversation piece with quality that will last a lifetime. 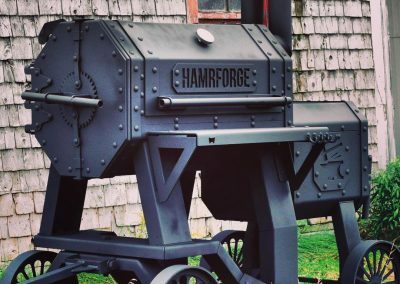 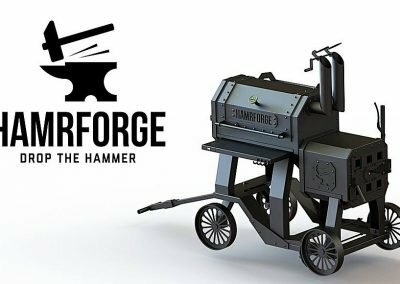 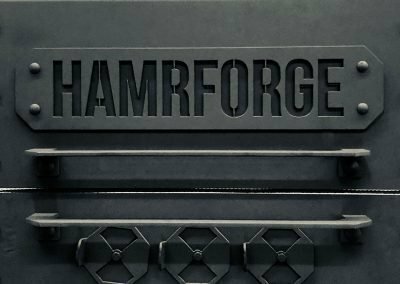 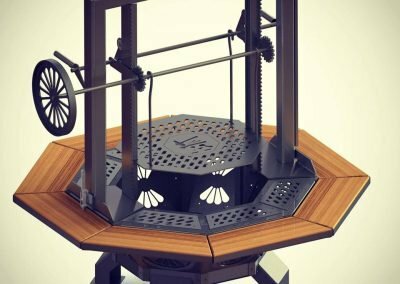 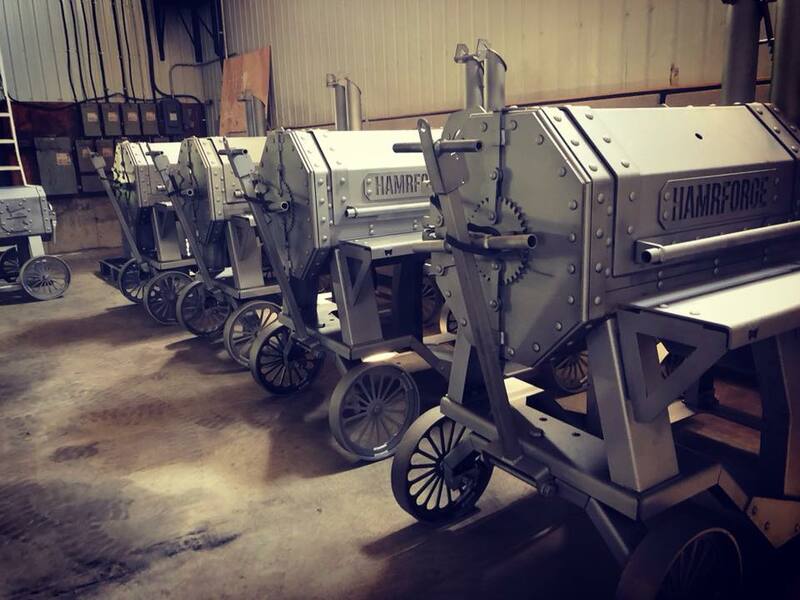 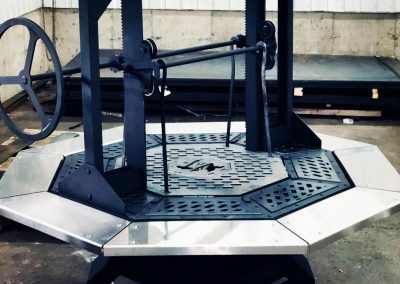 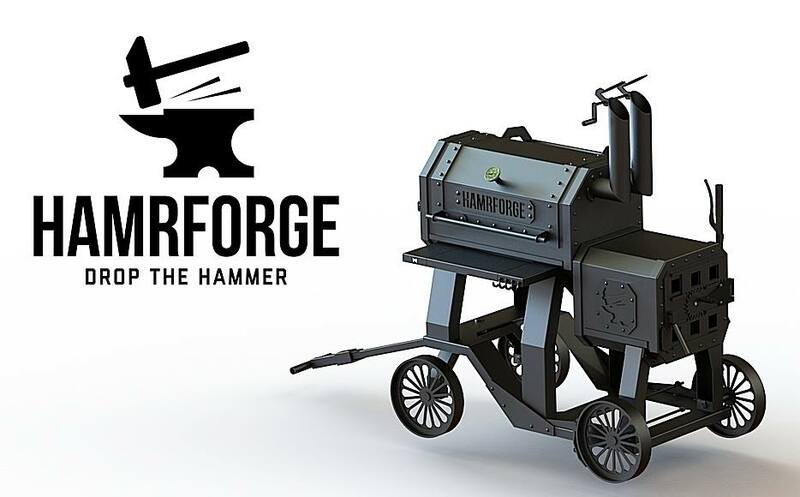 The Hamrforge Beast will outlast, out-cook anything out there, period. 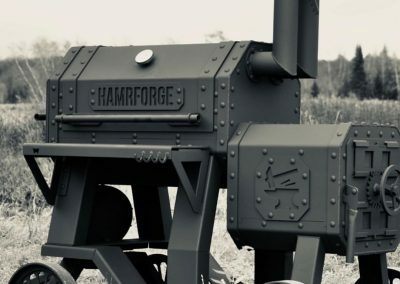 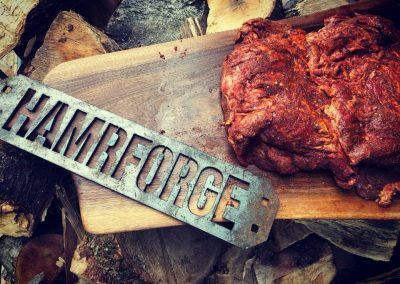 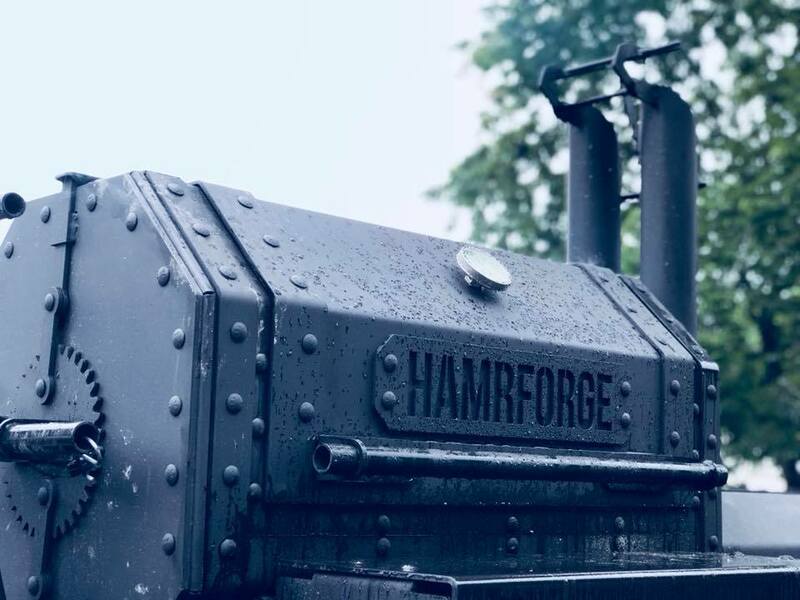 Hamrforge the brand, the lifestyle, the BBQ legacy. 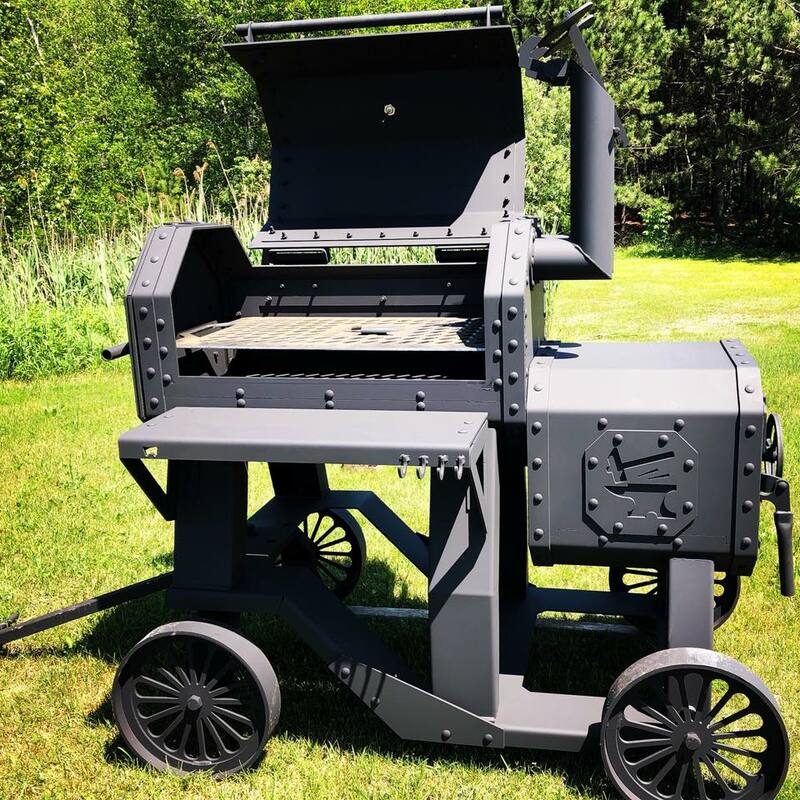 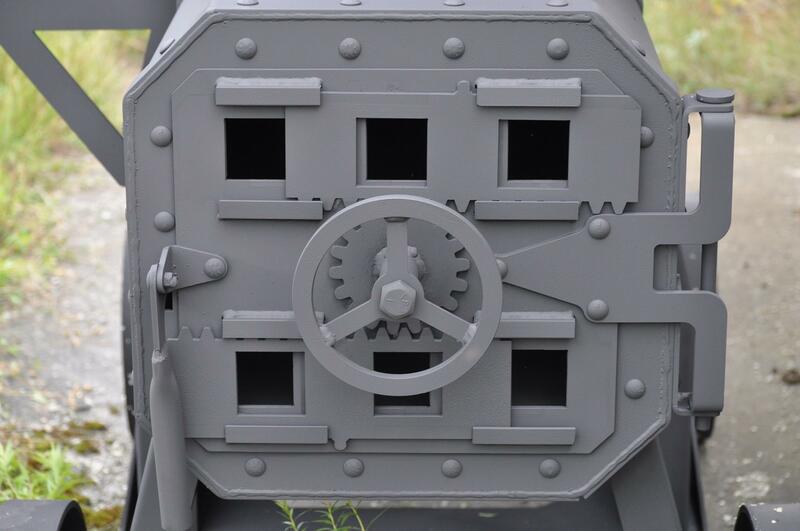 Built for life plus a 100 years. 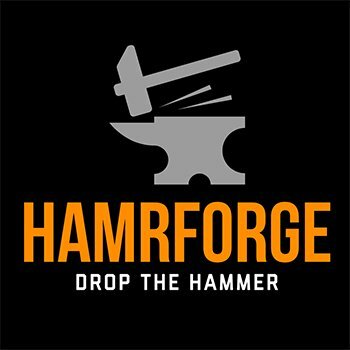 ~ Drop the hammer!